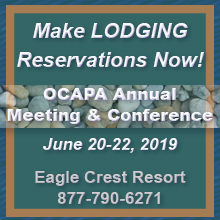 OCAPA member employees receive discount pricing on all Certification Classes. If you don't have an employee log-in yet, and want to pay by credit card, call us at 503-588-2430. Otherwise your class prices will be adjusted when we invoice you. If you have previously taken a class from us and have changed employers, call first before registering. If you would like to be notified when the future class registration is available, click here. * The ODOT QCT class does NOT include the ACI Concrete Field Testing Technician - Grade 1 certification, which is required. Please remember to register for the ACI class separately. 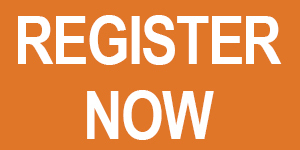 If you would like to be notified when the next class registration is available, click here. If you would like to be notified when the next class is scheduled or the form is available, click here. Questions? Phone 503-588-2430 weekdays, 8am - 5pm PST. CANCELLATION POLICY: All Cancellations, Reschedules and Substitutions are subject to a $50 processing fee. Cancellations must be made at least 14 days before the start of the class to receive a refund. Material fees are non-refundable. RESCHEDULING: Rescheduling to another class must be made at least 14 days before the start of the class. SUBSTITUTIONS: Substitutions are only allowed between students within the same firm at least 14 days before the start of the class. NO SHOWS: "No-shows" will not be rescheduled or refunded. Classes are subject to cancellation based upon the number of registrants. Registrants will be notified no later than 7 days prior to the start of the class of any cancellations. Prices are subject to change without notice. No credits will be carried over past June 30th of current year. Photo ID will be required for all exams.